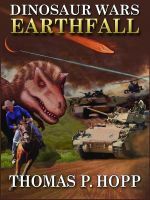 Kit Daniels and Chase Armstrong, the young heroes of the Dinosaur Wars series, have already saved the planet from a space invasion of laser-blasting dinosaurs. You would think they’d have no challenges left to face. But when a Hollywood director and his crew come to Montana to film Kit getting up close and personal with the dinosaurs that live on her father’s cattle ranch, anything can happen—AND DOES! Come join the adventure as pandemonium reigns on the film set. KIT DANIELS—DINOSAUR GIRL is an exciting adventure for all ages and both genders. 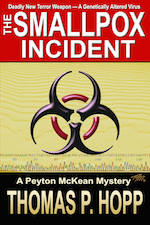 Click this LINK to find an ebook seller who carries KIT DANIELS—DINOSAUR GIRL. All the big booksellers do! 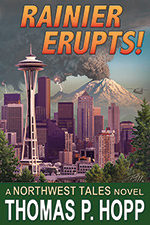 Thomas P Hopp is a scientist and author living in Seattle. 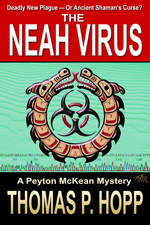 He writes Peyton McKean mystery stories and the Dinosaur Wars science fiction series. 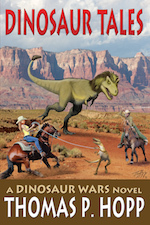 This entry was posted in Author, Dinosaur Country and tagged Chase Armstrong, Dinosaur Tales, Dinosaur Wars, Kit Daniels, science fiction, western. Bookmark the permalink.